Following nearly 18 years of live performing, as both backing musicians and eventually as headliners, the Band had reached a crossroads in 1976. The group's seemingly effortless virtuosity, Robbie Robertson's literary gift for writing cinematic songs that captured a deep sense of Americana (despite being Canadian), and a wonderfully organic sound had made the Band one of the most admired and respected musical institutions on the planet. Having created some of the most gloriously rich and influential music of the late 1960s and early 1970s, Thanksgiving of 1976 would become both a celebration and a fond farewell from one of the most revered rock groups ever. Elaborately staged by Bill Graham, the Band's farewell concert was christened "The Last Waltz" and presented on Thanksgiving Day at San Francisco's Winterland Ballroom, the same venue they first debuted as the Band nearly eight years prior. Five thousand lucky attendees would enjoy turkey dinners served at 5pm, followed by ballroom dancing with music provided by the Berkeley Promenade Orchestra. Poets Michael McClure and Lawrence Ferlinghetti would also give readings prior to the 9pm show time. Needless to say, the Last Waltz was the hottest ticket in town and the Band's farewell would go down as one of the most spectacular events in rock history. To help celebrate this landmark, musical collaborators and significant influences from every stage of the group's career were invited to perform. 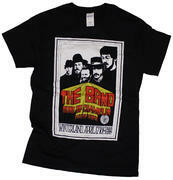 Over the course of the four-hour concert, the Band not only presented an overview of their own career, but they also served up tasteful accompaniment to an astounding list of guests, including Bob Dylan, Van Morrison, Joni Mitchell, Eric Clapton, Muddy Waters, Paul Butterfield, Neil Young, Ronnie Hawkins, Dr. John, Bobby Charles, and Neil Diamond. Afterwards, additional friends and guests (including Ringo Starr, Stephen Stills, and Ron Wood) would also take the stage for two spontaneous jam sessions, before the Band played one final song to close this memorable night. Immortalized by Martin Scorsese's landmark film of the concert and (initially) a three-record release that featured only half of the night's performances and none of the encore (the group's real last minutes on stage), the official documentation of this legendary night has been a source of debate for decades now. While Scorsese's movie remains an undeniably impressive document of the event and remains one of the great concert films of the era, the audio recordings have always been somewhat questionable. Despite meticulous production and outstanding sonic clarity, the various releases have always been geared toward an "album experience" as apposed to a "concert experience" and as such, have never represented an accurate account of the music that night. Not only were numerous performances excluded, but also the performances that were included had been re-sequenced and, in many cases, extensively doctored. Many songs contained studio overdubs to replace the original live instrument and vocal tracks. Some songs were also edited to reduce sonic flaws or sloppy playing and crowd response was eliminated or greatly reduced in the final mixes. Regardless of all the tampering, the official releases are important contributions to the Band's legacy and remain essential listening for fans of the group, but they are far from historically accurate. Here we present the entire Last Waltz, from beginning to end, exactly as it happened. Sourced from the Bill Graham Presents recordings, these raw, un-retouched line feed recordings allow listeners to experience the Last Waltz as the concert that it was, warts and all. Significantly different from the official releases and often more satisfying, Graham's recordings allow one to experience this legendary night in authentic and complete form. Levon Helm leads the call into a percolating "Up On Cripple Creek" that kicks off the concert. This opener, "The Shape I'm In," and an impassioned reading of "It Makes No Difference" feature the five musicians alone onstage, with each of the lead vocalists taking a turn. During the first hour, the Band showcase an even dozen of their most popular songs, but from here on out are augmented by an outstanding horn section, which kicks in on "Life Is A Carnival." Strong readings of many favorites are here, including "Ophelia" and "The Night They Drove Old Dixie Down," but much of this opening set was edited out of the official release. All of these songs are intact here, including the Basement Tapes-era Dylan collaboration "This Wheels On Fire" and W.S Walcott Medicine Show," both with horn arrangements by Allen Toussaint. While the latter works far better in this context than the former, the horn arrangements are rarely less than impressive, and on the latter they work exceedingly well. Sadly, two Richard Manuel leads, "Georgia On My Mind" and "King Harvest" were also edited out of the release, and although his voice displays the ravages of time, he is utterly compelling on the Ray Charles cover. Few could deliver a melancholy number better than Manuel, and this is a prime example. They wrap up the first portion of the show with "Rag Mama Rag" an always-rollicking number that is even more so here thanks to Manuel's frantic piano work and the added punch of Howard Johnson's outstanding tuba work. The second hour of the show featured a succession of guests joining the Band onstage, beginning with Ronnie Hawkins. Venturing back to the early-1960s, when the group served as the Hawks, they fire things up with an aggressive take on "Who Do You Love." Next up Dr. John takes over piano for one of his signature songs, "Such A Night," before switching over to guitar for "Down South In New Orleans," where fellow Louisianan Bobby Charles fronts the group on lead vocals. At this point, the Band pay homage to the blues, first bringing out Paul Butterfield for a blow on "Mystery Train." This is an extraordinary performance, with both Butterfield and Helm in fantastic form. Following this, Muddy Waters, along with his pianist Pinetop Perkins and guitarist Bob Margolin, join the Band onstage. For the next 15 minutes, this assemblage becomes one of Muddy Waters' most impressive backup bands as they romp their way through "Caledonia" and get down and dirty on "Mannish Boy." The blues portion concludes with an appearance from Eric Clapton, one of the Band's most outspoken admirers. Clapton thoroughly enjoys the moment and delivers engaged readings of "All Our Past Times" (a song co-written with Rick Danko) and "Further On Up The Road," on which he and Robertson trade licks. Following the blues set, the Band showcases several of their favorite songwriters—Neil Young, Joni Mitchell, Neil Diamond, and Van Morrison in succession. Young gives what was then a rare live reading of "Helpless," with Joni Mitchell's voice emanating from an offstage microphone. He follows with another unexpected performance; a cover of Ian Tyson's "Four Strong Winds," both songs reflective of the collective Canadian heritage present onstage. Robertson introduces Joni Mitchell next, who performs some of her challenging new material including "Coyote," "Shadows And Light," and "Furry Sings The Blues," with Dr. John sitting in on congas. Her vocals and lyrics are never less than compelling, but these performances are under-rehearsed and a bit ragged. Regardless, Joni's three songs are an interesting live document of another pivotal stage in her career. Neil Diamond continues this sequence of guests by saying "I'm only gonna do one song but I'm gonna do it good," before singing "Dry Your Eyes," a songwriting collaboration with Robertson. Diamond's presence was questionable and is reported to have increased rancor between Robertson and Helm. His only real connection to the group was this song and Robertson producing his album the previous year, but few would deny his performance was reasonably good. This all leads up to one of the greatest moments of the Last Waltz, with legendary singer-songwriter (and one of the Band's former neighbors in the Catskills) Van Morrison joining in. Hearing Van and Richard Manuel share vocal duties on "Tura Lura Lural" is a rare treat, but it's this performance of "Caravan" that proves this is a match made in heaven. "Caravan" is a tour-de-force performance that shows what a special chemistry these musicians had when they were at their best, leaving the listener wishing they had explored further collaborations. To cap off this sequence of guests, Neil Young and Joni Mitchell return to the stage to help the Band perform "Acadian Driftwood," a lovely ode to the Acadians of Canadian history. This serves as a transition point back into the Band playing original material for several numbers, beginning with Garth Hudson's keyboard barrage, "The Genetic Method," here incorporating prerecorded samples of Tibetan monks and even a mooing cow to add to the otherworldly experience. As always, Hudson eventually arrives at the opening riff of "Chest Fever," which is greeted with massive applause. The debut performance of Robertson's country-flavored "Evangeline" follows, prefaced by a brief instrumental prelude titled "The Last Waltz." These songs, and "The Weight" to follow, would turn up on the album as new studio recordings, so these live performances are another welcome addition here. "The Weight" serves as a perfect conclusion to any overview of their illustrious career, but of course the single most important contributor to the Band's career was yet to come. Robertson informs the audience they have one more guest they want to bring out. To ecstatic cheers, Bob Dylan takes the stage. Decked out in a white pimp's hat and a polka dot shirt like he wore so often on the 1966 tour, Dylan launches the group into "Baby Let Me Follow You Down," sounding nearly as wild and raucous as they did a decade earlier. This transitions directly into "Hazel," a far more sedate love song recorded for the Planet Waves album collaboration two years earlier. The highlight of the Dylan segment follows with a glorious reading of "I Don't Believe You," again recalling the sonic assault of their first electric gigs together. Hudson's soaring organ, Robertson's beautiful guitar fills, and Helm's propulsive drumming inspires a fully engaged vocal from Dylan, creating one of the most satisfying performances of the night. Next, they slow it back down again with the anthemic "Forever Young," which stands out for Dylan's impassioned lead vocal. Bringing the set full circle, they rip back into a reprise of "Baby Let Me Follow You Down." To close, Robertson asked Dylan to remain onstage to lead the grand finale. The Band and all of their guests, with Ringo Starr joining in on drums and Ronnie Wood adding yet another guitar, perform "I Shall Be Released" as their closing number. Richard Manuel, whose falsetto vocal had immortalized Dylan's song on Music from Big Pink, shares lead vocals with Dylan, switching between his normal and falsetto voice between the verses. One of the most visually striking moments in the Scorsese film, this song signals the end of an era and brings the show to an emotional close. However, it wasn't really over yet, as Robertson announces that the rest of the night is a party and the Winterland audience is invited. With a loud standing ovation still well in progress, the throng of musicians clears the stage, leaving only Levon Helm and Ringo Starr remaining, both seated at their kits. As the crowd roar begins to settle down, the two drummers spark a spontaneous jam session. Establishing a funky rock beat, soon they are joined by Ron Wood and Eric Clapton. 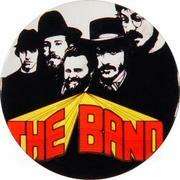 Before long, various other members of the Band join back in, along with Dr. John and Paul Butterfield. Eventually the stage is full of activity again, including both Neil Young and Stephen Stills strapping on guitars. Two extended jams ensue over the course of the next half hour. The first becomes a loose boogie-style number with Wood, Clapton, Robertson, Stills, and Young all swapping guitar licks and with Butterfield cutting loose on harp throughout. The second is a slow funky blues often propelled by the keyboard players, but featuring plenty of solos from all involved over the course of 17 minutes. San Francisco had a long history of facilitating all-star jam sessions, but never had such an astounding roster of rock musicians improvised together on the same stage. As can be expected, these spontaneous jams are occasionally more meandering than inspired, but with such distinctive musicians involved, it is rarely less than exciting and not difficult to discern what each musician is contributing. Finally, at quarter past 2am., the Band returns to the stage for one last song, the Holland-Dozier-Holland classic, "Don't Do It (Baby, Don't You Do It)," which displays their exhaustion as much as their undeniable chemistry. Inexcusably omitted from the official release, this would be the last song that the classic lineup of the Band would ever perform on stage together.